Kinetics IsoMax resilient sound isolation clips are an effective and easy to install solution for ceiling and wall soundproofing apparatus. 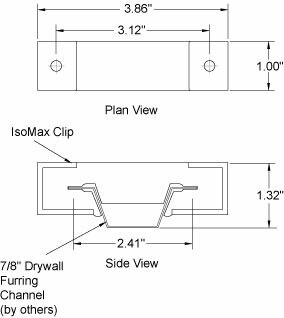 When used with standard furring channel, IsoMax clips acoustically decouple drywall walls and ceilings from the building structure. IsoMax are appropriate for all standard clips and channel assemblies and provide excellent soundproofing properties. IsoMax may be the easiest resilient sound isolation clip to install. Easy installations save time and money and headaches. In addition, IsoMax clips are designed to minimize the possibility of “short circuiting” the acoustic pathways during installation. 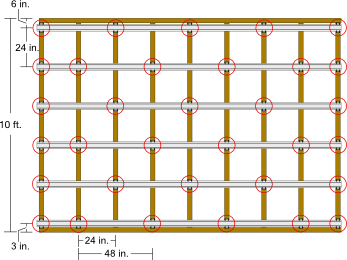 Decoupling walls from the building structure is the easiest way to reduce the propagation of low frequency sounds. That makes IsoMax clips excellent choices for residential applications, mixed use buildings, as well as home theater solutions. KINETICS IsoMax resilient sound isolation clips offer significantly higher STC values than drywall attached to resilient channel. 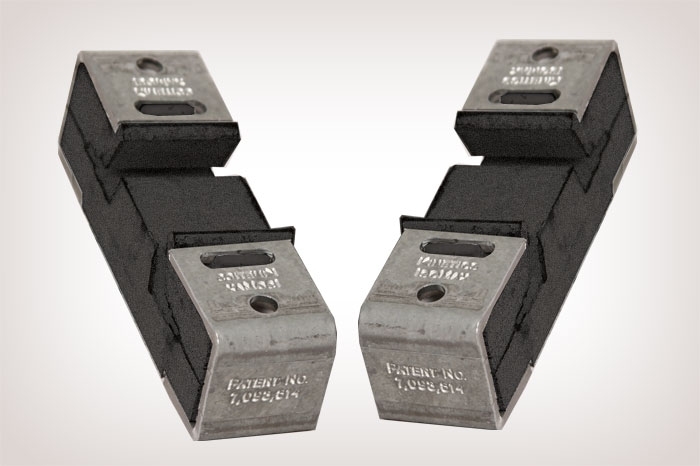 IsoMax clips are designed to ensure that installers will not inadvertently screw through the “resilient” leg of the channel into the joist or stud, rendering the resilient channel ineffective. 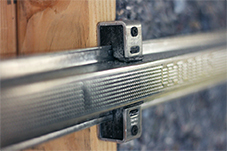 IsoMax clips are the amongst the easiest clips to install and can reduce the cost of labor for installations. Height: 3 - 15/16 in. Depth: 1 - 1/8 in. 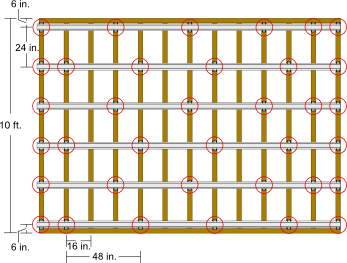 • Furring channel is installed across studs horizontal to the floor. Measure for placement of KINETICS IsoMax resilient sound isolation clips using layout guidelines listed in the Installation Notes above. Mark locations and install clips using appropriate screws. To make installing channel easier, only affix the clip to the stud with the top screw. Apply second screw to the bottom of the IsoMax clip. Alternative Method: Before attaching the clips to the wall, snap clips onto the furring channel at approximate stud intervals. Place the channel across the studs making sure it is level. Slide clips to appropriate studs and fasten with appropriate fasteners. drywall is fully installed before removing shims from underneath. • Use 20 gauge furring channel on ceilings. 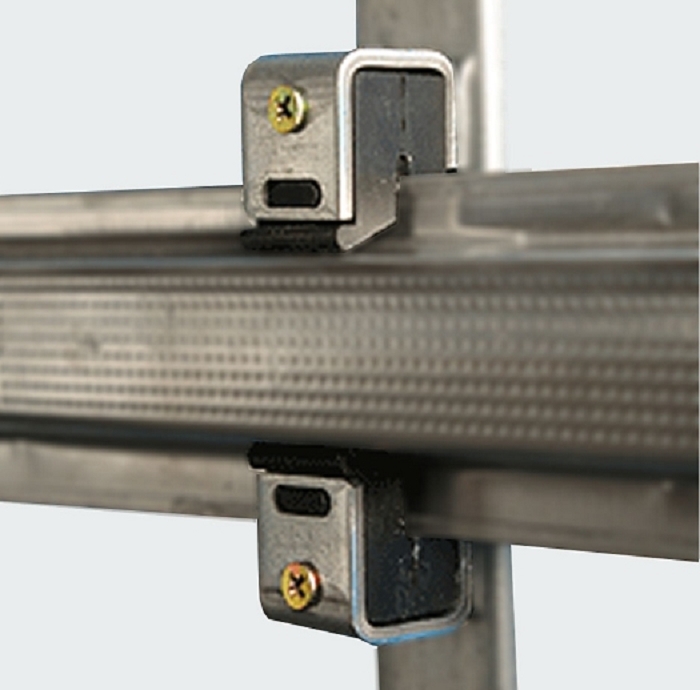 Measure for placement of KINETICS™ IsoMax resilient sound isolation clips using layout guidelines listed in the Installation Notes above. Mark locations and install clips using appropriate screws to fasten the clips to the floor joists.